Crunchyroll posted on their Instagram page a teaser for the Layton’s Mystery Agency anime. Based on the short video, this anime will be released in Japan on April 8th. Director Susumu Mitsunake who also worked on the anime Haikyu!! is part of the Layton’s Mystery Agency anime team. The anime is based on the Level 5 video game series Professor Layton. His daughter, Katrielle will spend her time in the series searching for her father who has disappeared. The Professor Layton franchise is a mystery game on the Nintendo DS and 3DS systems. Set in England, the Professor and later on his daughter travel and solve various mysteries. The player is tasked with searching for puzzles as they search for the truth behind the mysteries. Sadly, no word was given on whether or not the anime would be streamed through Crunchyroll as of yet. However, since Crunchyroll did make this post on Instagram so it is likely that they are seeking out the rights to stream it in North America. 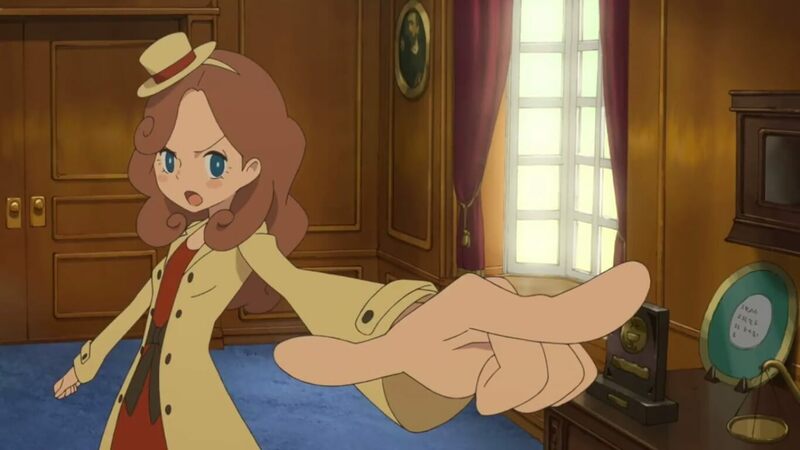 Hopefully, Layton fans won’t have to wait too long to see Katrielle solve her most important mystery!